Sharing Showbie with teachers? Here’s what you need! 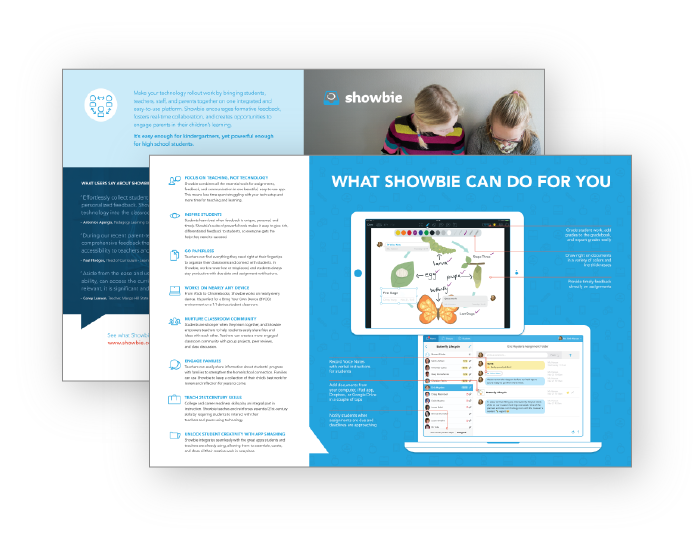 Join the Showbie Group and download all these resources directly into your Showbie account! Can’t find what you’re looking for? Let us know and we’ll do our best to get you what you need. Watch the Showbie Essentials video in Norwegian or Finnish! If you’re using Showbie Pro, the video and document below help you use the app to its fullest potential! 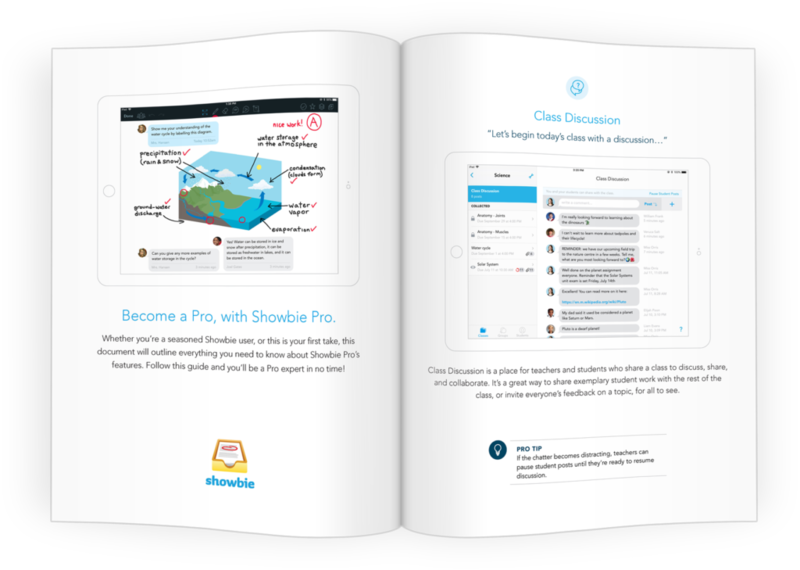 They outline key features of Showbie Pro and how to use them. Hannah Croskery is a teacher in the UK who has been using Showbie at her school. Here’s what she has to say about Showbie! 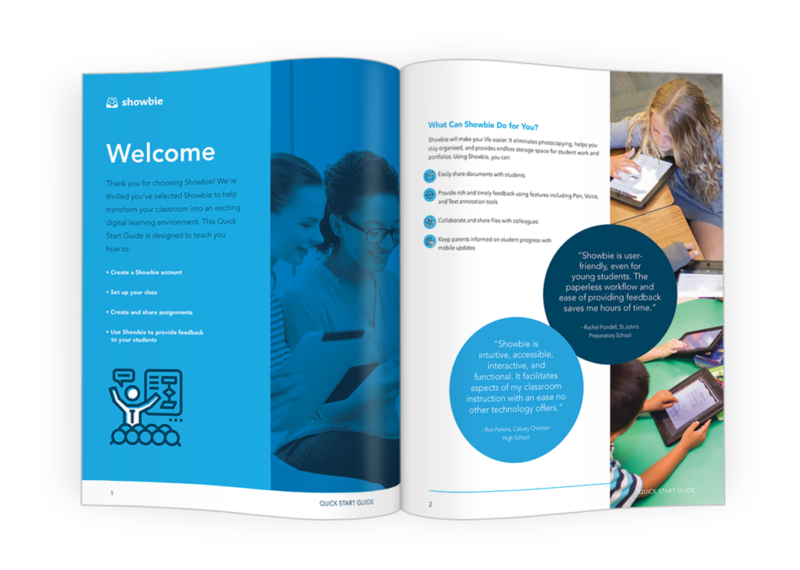 We’ve put together a sales brochure that sums up how Showbie can do to help transform and simplify a classroom’s workflow. Send this to fellow teachers who would like a quick rundown of what Showbie can help them do! Select your language/region below to download the PDF. 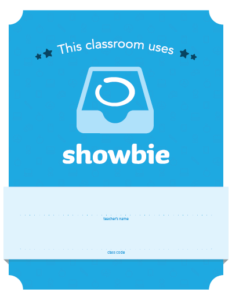 Teachers who use Showbie love how it transforms their classrooms into engaging, collaborative, and organized learning environments. How do we know? We asked them. Download the PDF in your language to learn more. From ink to paper to maintenance, printing costs add up. 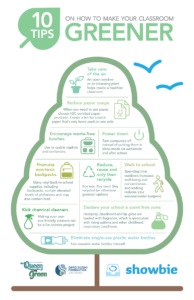 Going paperless is not only great for the environment, it has a huge financial impact on your school budget. 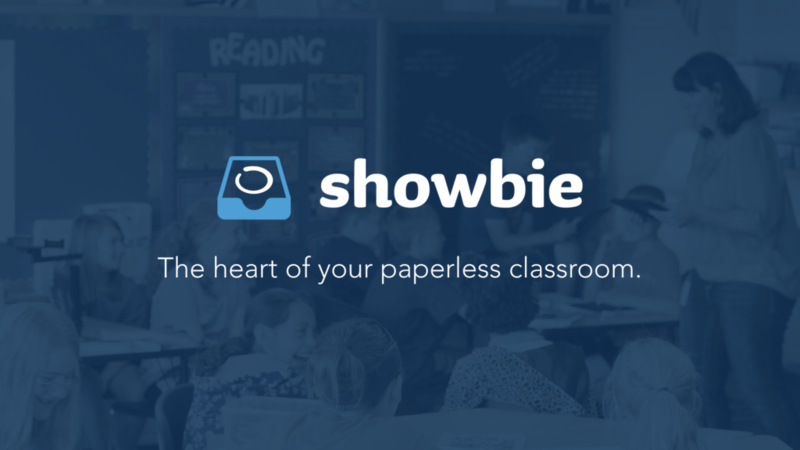 Some schools using Showbie are saving $21,000 USD a year by going paperless. Find out how much your school can save by adjusting the sliders below. Based on a 36 week school year, $0.03 per page and 2 pages per assignment. Not using USD? You can find out your paperless savings in additional currencies here. How has Showbie impacted learning and teaching in schools? We have case studies from schools and districts across the globe who have shared their success stories. 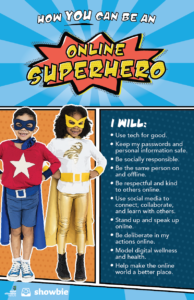 We’ve created some posters to share in your classrooms on various topics in education! Download and print the posters below.